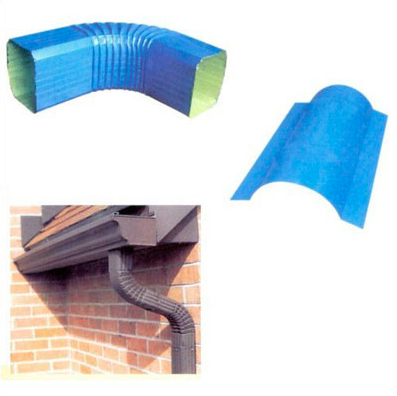 Weoffer a wide range of Water Guttering Tube. Gutter protection is essential in protecting your home and your wallet from expensive water damage caused from clogged, overflowing rain gutters. Note: "Buyers from North India will be preferred." M.G. Industries has established itself as a premier manufacturer & marketer of Architectural & Building Products, marketed under the brand name of "Sonex". Equipped with state-of-the-art fully automated production facilities, matching international quality standard & technical specification, "Sonex" has established itself as a widely recognized brand in the market, well accepted by architects, interior designers & structural engineers. Our R&D Department is constantly engaged in upgrading & expanding the products line, thereby making "Sonex Architectural Products" the foremost quality competent & cost effective architectural products as on date. When it comes to creating the right effect on the ceilings, nothing matches the efficacy of Sonex Metal False Ceilings. Manufactured by M.G industries, a well know name for architectural products (Since 1995), Sonex Metal False Ceilings confirm to the latest trends and construction practices, offering a wide range of international & India-specific designs, that withstand the extreme weather condition. Over the years, Sonex has established itself as a widely recognized as a widely recognized brand in the market, well accepted by architects, interior designers, and structural engineers.